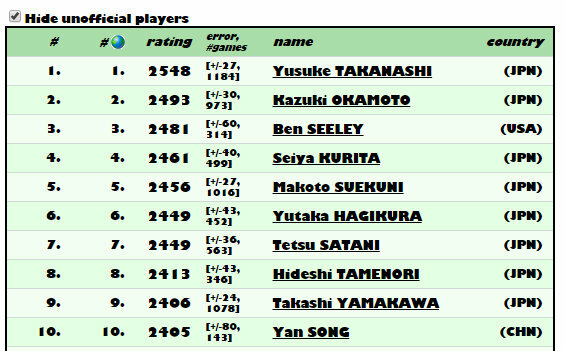 An undefeated victory for Tetsuya Nakajima, he took the full 6 points. 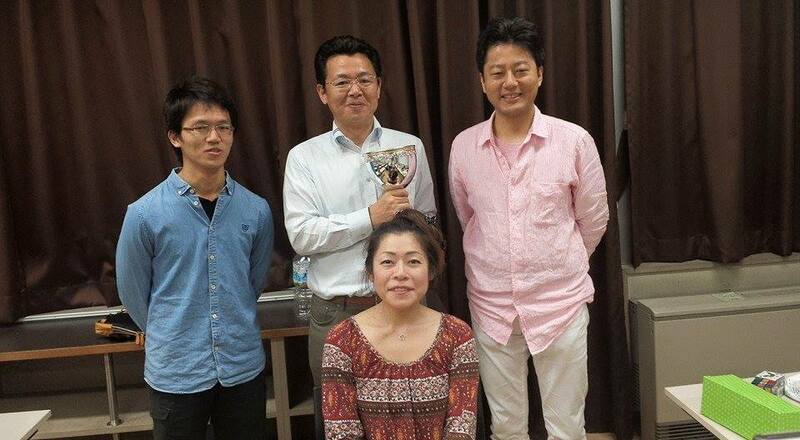 Two players with 5 points: Makoto Suekuni, the 2014 World Champion and Yura Abe. 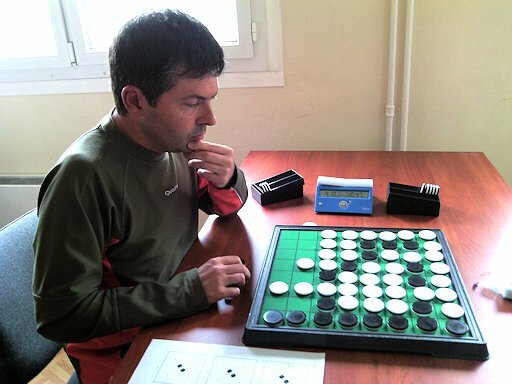 Takeshi Murakami, who finished 5th with 4wins, analysed all his games in his blog. Have a look, it's in Japanese but online translation is a big help. Marc Tastet played his 100th EGP tourney in Madrid. > Marc, you won the EGP 4 times, the last time in 1997. You won 8 stages. Which was your sweetest victory? Maybe Milan 1992 which was my first EGP win, or Barcelone 2013 which was my latest. > Last year there were only 4 players who played in 4 or more EGP stages and the year before that the score was 5. You are about to play in your 100th tourney. What drives you? How can we attract more players? Maybe change the EGP system? You have any ideas? I think many players would like to join EGP tournaments, because it's always great fun to play EGP tournaments. I'm always happy to meet good friends that I have been meeting several times a year for many years and play very interesting games with them. I heard some players say: OK, if I could go to EGP tournaments, I would win all of them easily, but I don't have time nor money to go to EGP tournaments. About time, I think you have to make choices: if you are really interested, you can find time to go to EGP tournaments. About money, it's not that expensive. 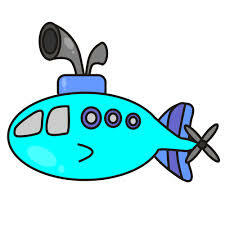 Usually, I can find a return ticket by plane or by train for between 70 and 120 euros. Then, you can share a hotel room with other players, or even sometimes have free private accomodation at some players' home. As only the best 4 results are taken into account, if you are really strong, going to 4 tournaments or even 3 is enough to win the EGP. So why not have a try? > So many different stages in the EGP, is there one, outside of France, that is your absolute favourite? Many EGPs are very exciting. Maybe my favourite is Barcelone because I always win there. :-) But Prague is always great (and cheap). 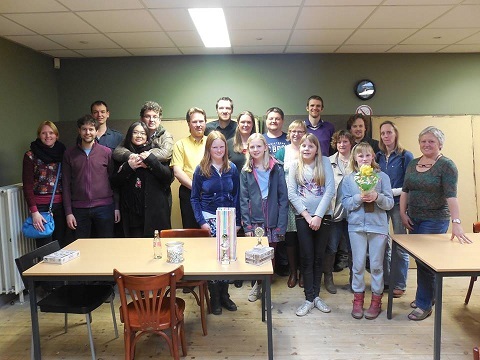 I also keep a very good souvenir of tournaments which were played on a site where everybody stayed to play, eat and sleep, like Oslo (Moss) 2011 or Netherlands (Texel island) 2014. > You played your first otb tournament in 1984 and you won the WOC eight years later in 1992. You have seen many players come and go. Who were your Othello heroes in those early years? Who left his/her mark on the Othello World? I guess Hideshi Tamenori is the player who most impressed me. 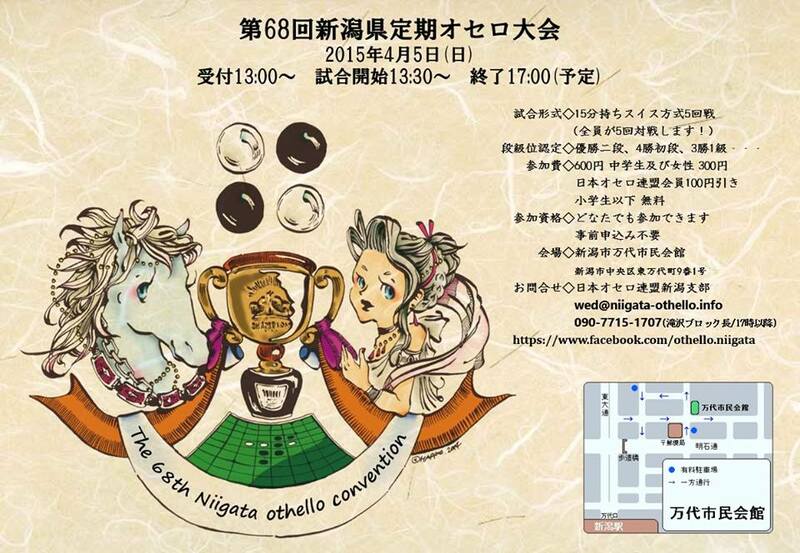 I remember the WOC 1988 in Paris, when I was a table judge of a Murakami-Tamenori game. At some point, Tamenori thought for a while. Then he played a semi-forced sequence quickly and at the end of the sequence, he had a clearly winning position that I hadn't anticipated. 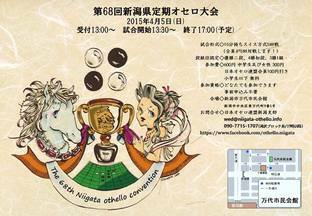 And Hideshi Tamenori left his mark on the Othello World, by winning the WOC 7 times over a 20-year period. > Former champions often reinvent themselves. You did not play in Bangkok last year, but at the Stockholm WOC in 2013 you came pretty close to the semifinals and ended 5th place ex aequo with Ben Seeley. Is the EGP your idea of a WOC training session? I didn't play in Bangkok because I never liked jet lag and it's not going to be better as I'm getting older. 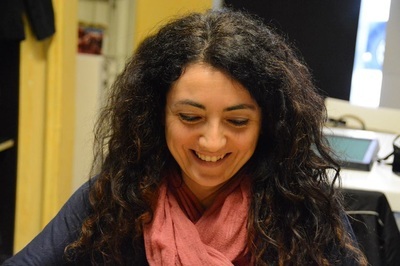 EGP is an interesting competition in itself. Of course, it can help training for the WOC but it's more than that. There are some cases when it's good to have a bad start in a tournament to make a come-back in the end. This strategy is specially useful when you don't feel well on the Saturday and hope to feel better on the Sunday. It's important not to lose to too many top players on Saturday so as to be able to beat and overtake them on Sunday. 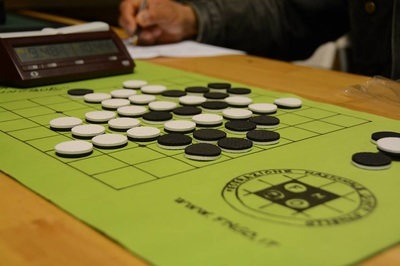 You also need to have enough weak players in the tournament, so that you can beat them with large scores to have a good tie-break. The best situation is when there is a player who has won everything and you meet him at the last round when he is already sure to make it to the final. You beat him and get to play the final vs. him. > Thanks Marc, good luck in the next tourneys! Another victory for Alessandro Di Mattei who won the three previous Città di Roma stages and now added another one. A very smart second place for Leonardo Caviola, bravo! Nicky van den Biggelaar won the tourney with 6 wins and 1 loss. 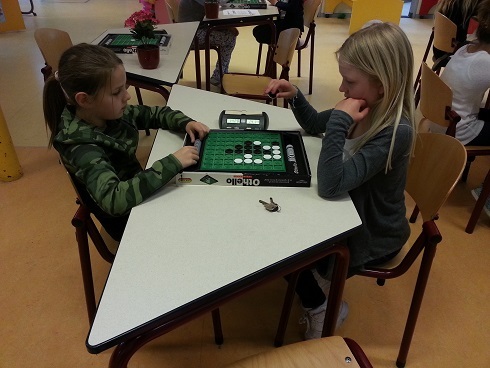 The loss was in round 7 against Jan de Graaf (36-28) They also played a game in round 4 and that was a win for Nicky( 49-15). 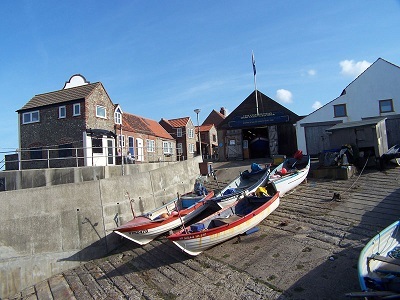 Results per round can be found on the NOV website. 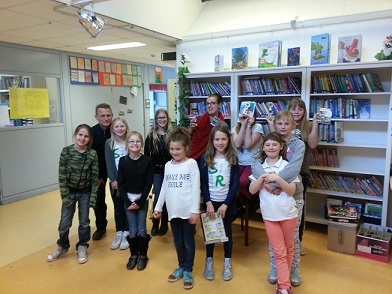 FRANSEN Martin 31-33 DE GRAAF Jan C.
And some more Dutch Othello news: the ranking of 13 players of "De Burijn" elementary school in Alkmaar . This tourney was played earlier this week. 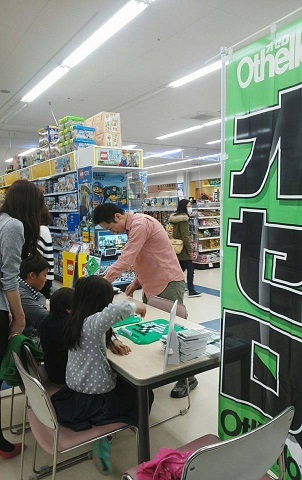 Best player of the tourney was Hiroyuki Iwata who won all of his six games. Runner-up was Takeshi Murakami who won 5 games. Third place for Tetsuya Nakajima who had 4 wins. I hope to receive some transcripts later today. In the game against Nakajima I grabbed edges and extracted many central discs. I like this kind of aggressive play style but Nakajima is an expert in refuting such attack. 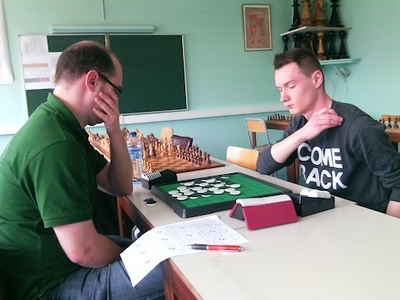 He would have reached a nice position had he played 34h4-h2-e2 instead of 34a3. 35 was the decisive blow that Nakajima had not foreseen coming, after which white didn’t really have any means to prevent black from getting critical tempi by going to a6 and a5. 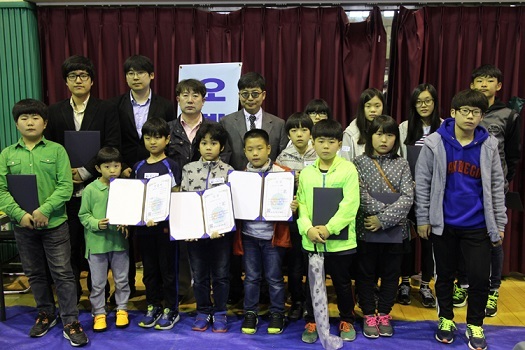 In the game against Iwata, I felt I was ahead in most of the game but I could not formulate any real plan in the endgame to circumvent white’s parity. 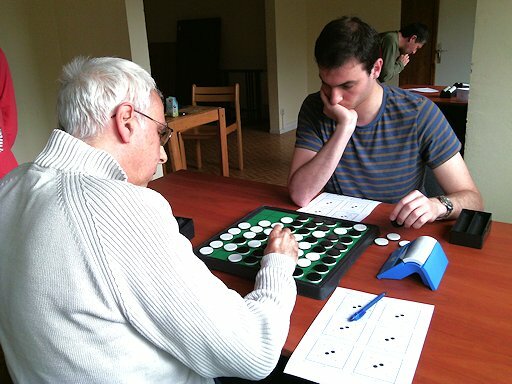 Thierry Lévy-Abégnoli won the Ile de France 4 with a perfect score of 5/5. 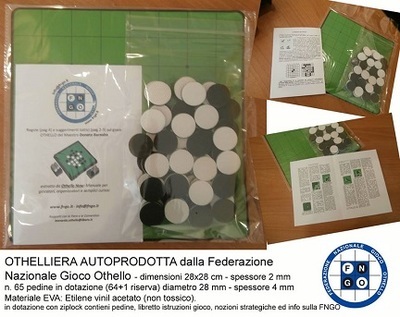 Tourney report by Thierry is posted on the FFO website. 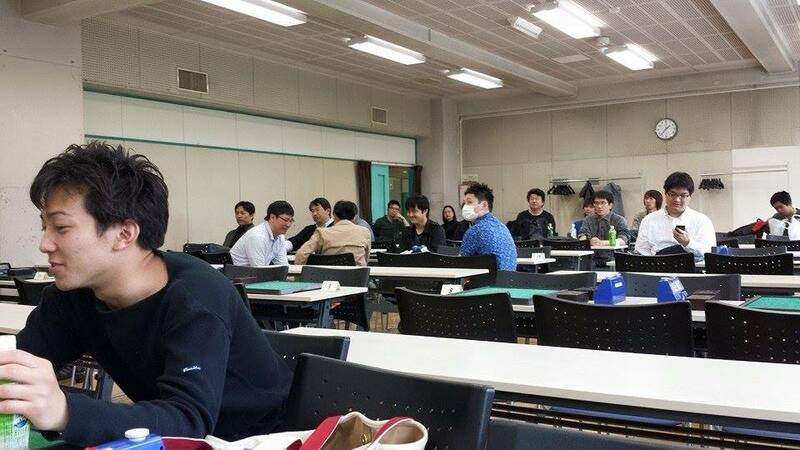 Usually it's Bintsa who takes the pictures, this time he was also caught on camera. More results can be found on our special EGP Madrid page. 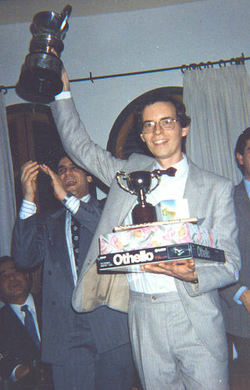 Marc Tastet (FRA) was World Othello Champion in 1992. 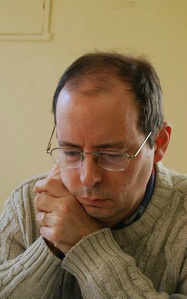 He won the French National Championship in 1991, 2004 and in 2008. Also winner of the European Grand Prix in 1993, 1994, 1995 and 1997. Eight EGP stage victories. 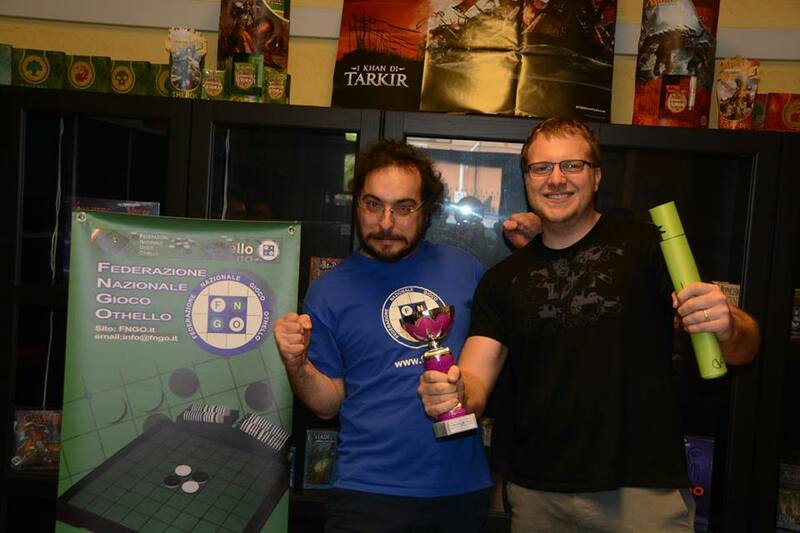 EGP Madrid was Marc's 100th EGP tourney! Top 10 on the World Othello Federation ratingist per April 16th. Use this link to check your own rating. There was a lot at stake in round 7. 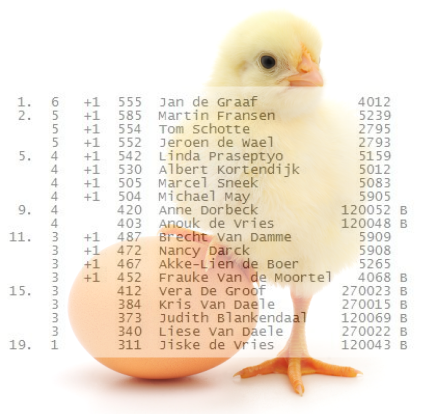 If Bintsa had succeeded in beating Arnaud in round 7, 5 players would have finished with 5 points. 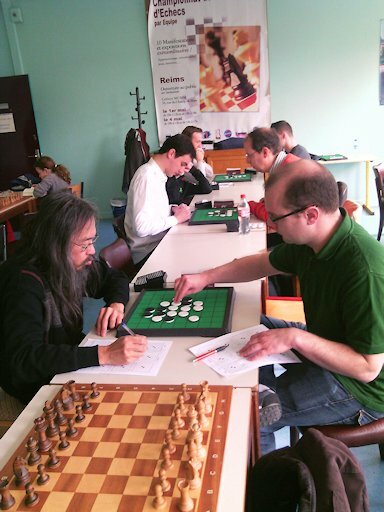 Bintsa had a 33-31 win at move 47, but the game ended as a win for Arnaud. Lucky for Marc Tastet who would otherwise have missed the semifinal. As always, thanks to Marc and Bintsa for the updates and pictures. Semifinals start Sunday at 10 am. The games between Arnaud and Marc were broadcasted on LiveOthello. Up to move 54 in the second game, I was sure there was going to be a third game, but Arnaud missed the winning move. Probably because he had very little time left on his clock. 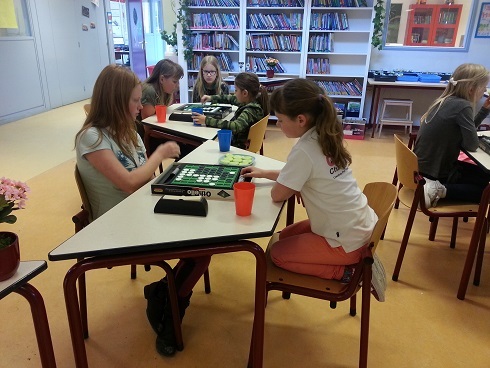 The other semifinal was also completed in 2 games. Takuji Kashiwabara and Marc Tastet qualified for the final. 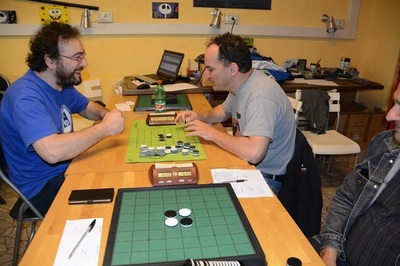 Arnaud Delaunay forfeited the playoff as he was extremely tired, so Samuel Clinton finished 3rd and Arnaud Delaunay 4th. 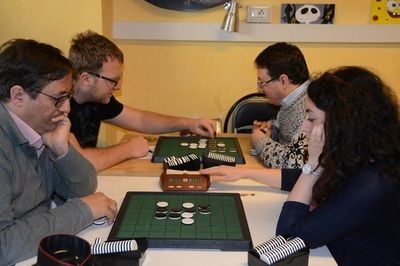 The second leg of the UK Othello Grand Prix was held in Sheringham, Norfolk. Imre Leader won undefeated. He needs 4th place in last remaining Regional to win the British Grand Prix. Niklas Wettergren took his second tournament win of the season in Linköping. 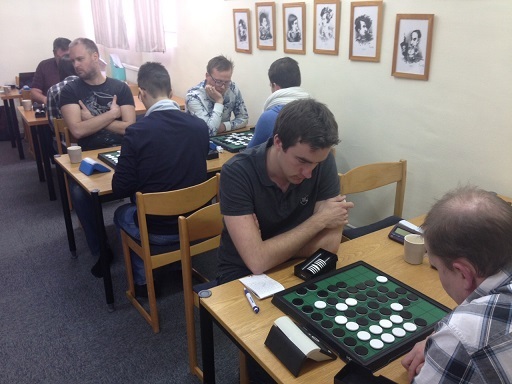 The first was Uppsala Open in December. It was an exciting tournament where the fight was between Niklas and Marcus Frönmark. 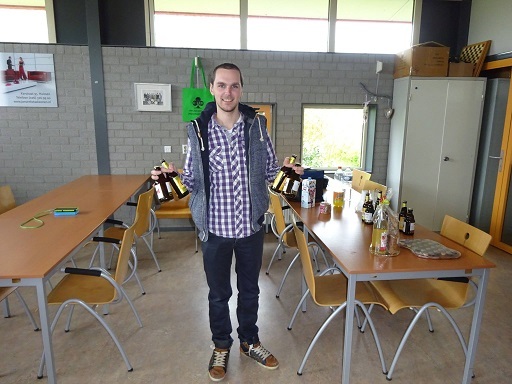 Both won 6 out of 7 matches, but Niklas had better MBQ, which gave him the victory. Marcus defeated Niklas 34-30 as white. In round four Benny Larsson from Linkoping defeated Marcus 40-24. Marcus played a good tournament, which is positive in view of the past less successful results in Uppsala Open and Örebro Open. Daniel Turunen, who was 2nd in Uppsala and 3rd in Orebro, again finished 3rd. 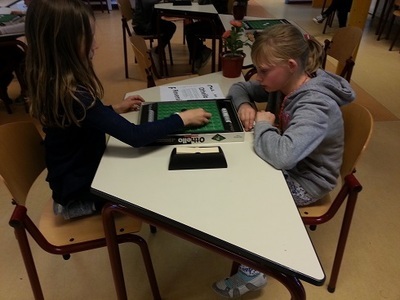 At the Linköping Open the local players did well. Benny Larsson 4th, Caroline Odsell 5th and Daniel Rosell 7th. Michael Björnholm as organizer did a good job! Also worth to note that Henrik Vallund started his Saturday in Copenhagen (Denmark), in the morning he drove his car 464 km, joined the tourney and then drove home! That is enthusiasm! 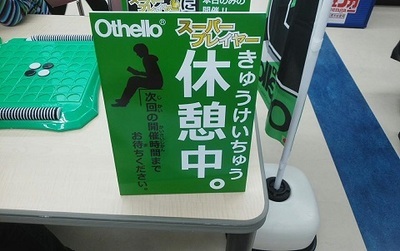 To all fans of Othello .. 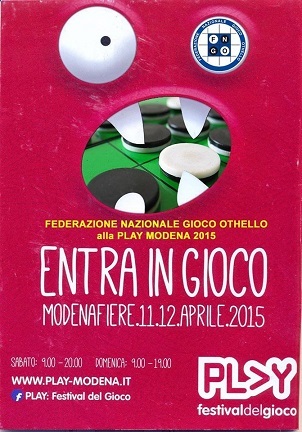 The Italian Othello Federation, the FNGO will be present this weekend at PLAY MODENA: the largest Italian convention dedicated to mind games. 'intelligent'. I find his friend Stefano Palermo in abstract chess together, to go, to checkers and other games. At the stand there will be boards for sale. 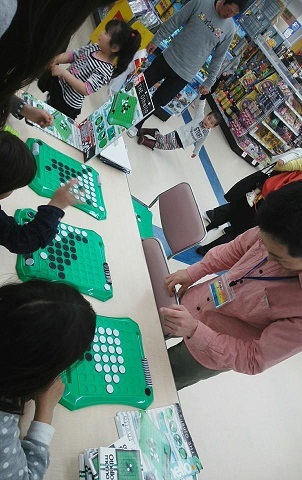 On April 5th, Takanori Oshimizu played simultaneous Othello games at the Toys 'R Us store in Sendai, Japan. 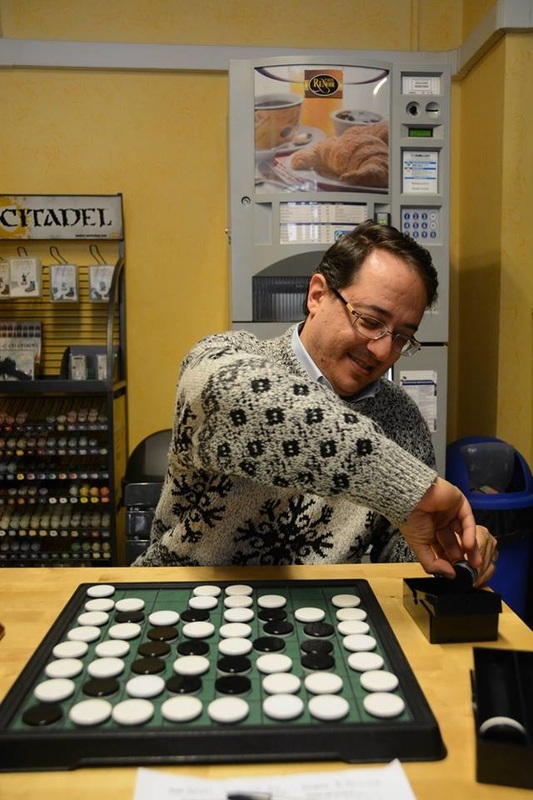 None of his opponents managed to win a game, but they all greatly enjoyed the experience. 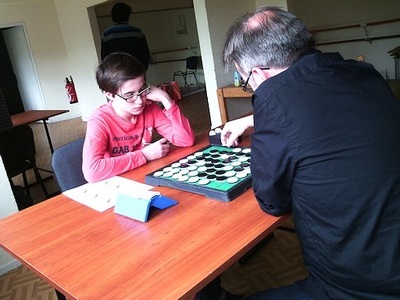 Jan C. de Graaf (NLD) won the Ghent Easter tournament 2015. Tom Schotte (BEL) took a head start with 4/4, but could not maintain the lead after losses against Martin Fransen and Jeroen De Wael. Want to know when and where next WOC will be held? 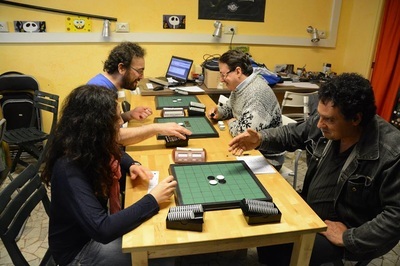 Bengt Steentoft send out this email concerning the next World Othello Championship. It seems that nothing much has been definitely decided yet. Look at the list of of past WOC's, my guess is London, Copenhagen or Madrid. 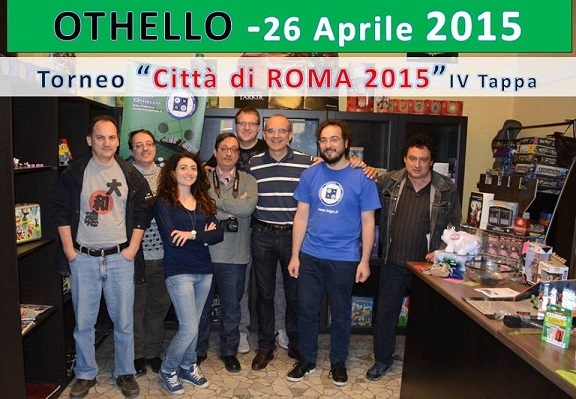 We know that you all waiting for news about the World Othello Championship 2015! We will inform you that it will be in Europe. The date will be in late October or beginning of November. We working hard with World Othello Championship 2015 and it is our hope that we will be able to tell you all who will be host for World Othello Championship 2015 latest May 31st! We hope it can be before that date too. So fast we have positive news about WOC 2015, we will send out informations to all media and World Othello Federations members..
World Othello Championship 2016 will be as planned in Japan.